Vertical window blinds are an inexpensive and classy décor idea. They add a lot of value to your room by enhancing the rooms' looks with their graceful drapes, and are a good way of covering windows when one is not keen on curtains or other types of window coverings. 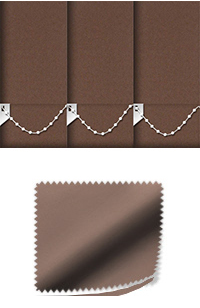 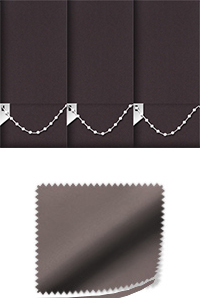 They are very useful for any window treatment, covering wide, huge or tall windows and doors. Due to their size, these one-of-a-kind blinds can be the primary focus of any room’s décor, making them a useful addition to any home or office! At Lifestyle Blinds, our collection of 127mm: 5” Louvre Vertical Blinds offers a vast range of colours to choose from, ranging from elegant and classy simple shades to soft shades of the colour palette. We also have bright colours for you to choose from to add a touch of energy to your rooms. We have a great collection of 127mm: 5” Louvre Vertical Blinds with unique performance properties. All our blinds are custom made by our experienced manufacturers based in the UK and are delivered directly from our manufacturers to your door, so browse through our collection online to get the perfect blinds for your home or office!